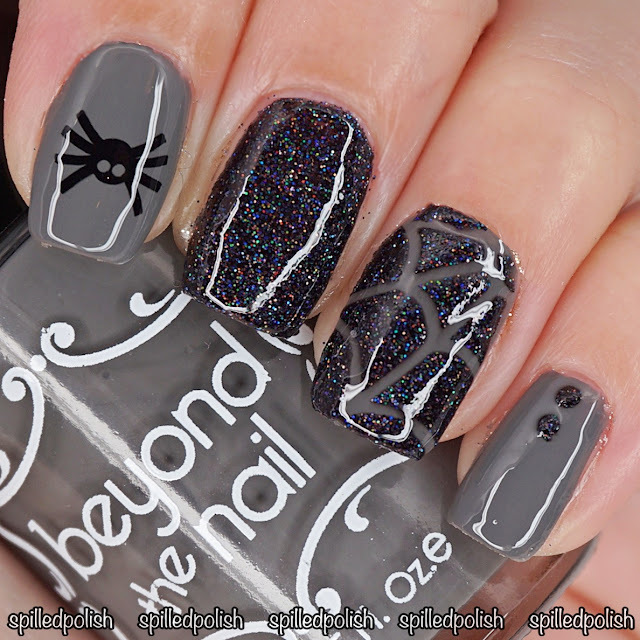 I loveeee me some Halloween nails! 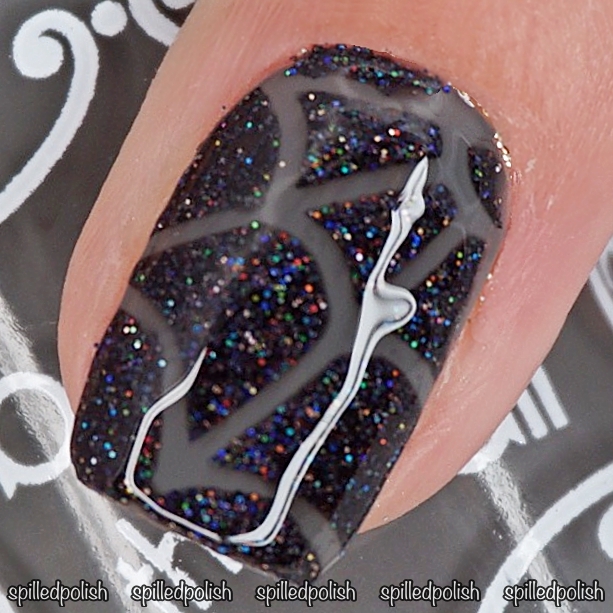 I started by painting my index finger with two coats of Beyond the Nail - Holographic Black Microglitter. I painted my other nails with two coats of Beyond the Nail - Gravestone. When everything dried, I placed a Spider Web Nail Guide on my ring finger and painted over it with the same Holographic Black Microglitter. I peeled it off immediately and was left with an awesome spider web design. 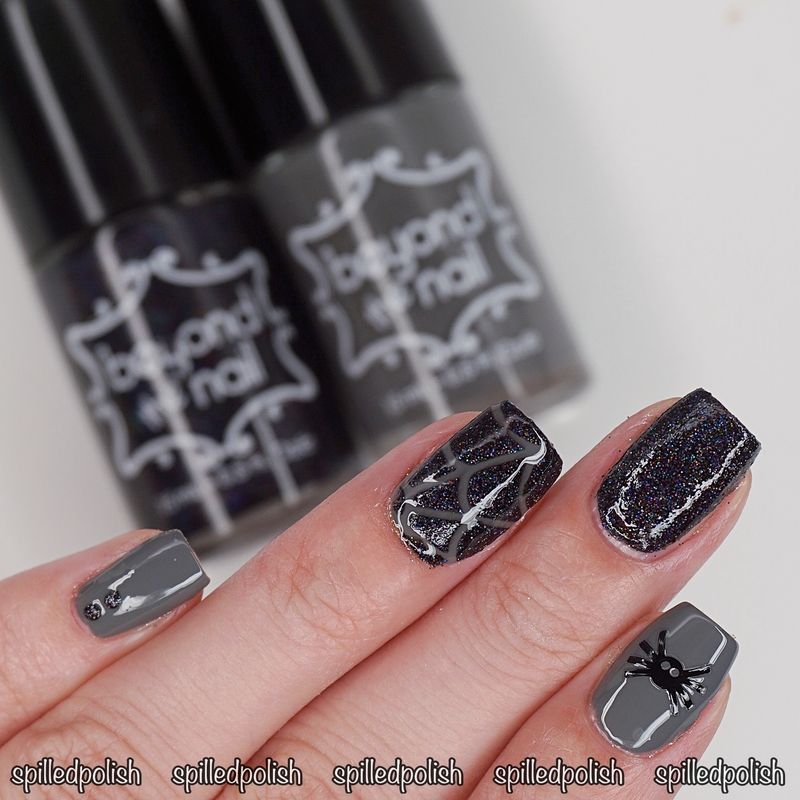 I placed a Spider Nail Decal on my index finger and topped each nail off with one coat of PRO-FX - Quick Dry Topcoat.